Diabazole Reviews | Does it Work or Just Scam? Diabazole is a new all-natural health supplement which promises to help people with diabetes support healthy glucose levels, increase their insulin sensitivity and manage their blood sugar levels. According to the product’s manufacturer, Diabazole will help patients beat diabetes naturally through its 100% natural blend of ingredients. This is a huge claim, so let’s find out what you can really expect from this supplement. 2 Can Diabetes Be Cured? 6 Side Effects of Diabazole. Who Should Use It? 8 What is the Accurate Dosage of Diabazole? 9.1 How to Boost Results? 9.2 What Else Can You Do if You Have Diabetes? In order to understand how and if Diabazole can manage to treat diabetes, we must first understand this health condition and some related facts. Diabetes is often referred to by doctors as diabetes mellitus and the term describes a group of metabolic diseases with high blood sugar levels. This is either because of inadequate insulin production or due to the fact that the organism’s cells don’t respond adequately to insulin. It can also be caused by both factors. Patients who suffer from high blood glucose usually experience frequent urination (polyuria), increased thirst (polydipsia) and hunger (polyphagia). Metabolism refers to the way our organism uses digested food for growth and energy. Most of what we eat is broken down into glucose, a form of sugar from the blood which is the primary source of fuel for our body. Glucose reaches our bloodstream when the food is digested and our cells start using it. Glucose cannot enter the cells without the presence of insulin, a hormone produced in the pancreas. After we ingest the food, our pancreas will release an optimal quantity of insulin in order to move the glucose from our blood to the cells and as soon as glucose reaches the cells, our blood sugar levels will drop. A patient with diabetes has the blood sugar levels too elevated and this condition is called hyperglycemia. The excess of glucose from the blood will pass out of the body in urine and even though the blood has enough glucose, the cells aren’t getting enough for their growth and energy requirements. In the case of type 1 diabetes, the body doesn’t produce enough insulin, that’s why some people refer to this type also as insulin-dependent diabetes, early-onset diabetes or juvenile diabetes. Patients usually develop it before the age of 40, early in their teenage years or in the first years of adulthood. 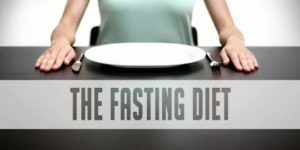 They need to take insulin injections for the rest of their lives and it’s also important that they ensure optimal blood sugar levels by following special diets and doing regular blood tests. The organism doesn’t produce enough insulin for an optimal functioning or the organism’s cells don’t react to it (insulin resistance). In some cases, patients are able to control their type 2 diabetes symptoms by losing excess weight, doing enough exercise, following healthy diets, and monitoring their blood sugar levels. But type 2 diabetes is typically a progressive disorder, and patients will eventually end up taking insulin in tablet form. The factors which contribute to a greater risk of developing type 2 diabetes include being overweight or obese, eating unhealthy foods and being physically inactive. This kind of diabetes affects pregnant women. 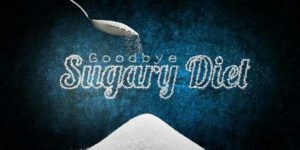 Some of them have very high blood sugar levels and their bodies aren’t able to produce enough insulin in order to transport the glucose into the cells. This results in a gradual rise in the glucose levels. The majority of female patients can control their diabetes with diet and exercise and some will need to take blood glucose monitoring medication. All types of diabetes can be controlled but there is no definitive cure for the disorder. 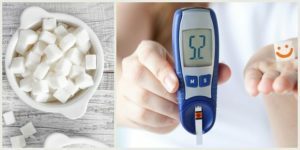 Diabetes type 1 lasts for a lifetime and so does diabetes type 2, however, there are some cases in which patients have managed to get rid of the symptoms without medication, only with the help of diet, exercise and body weight control. Diabetes can be effectively managed, and it may even go into remission, but it’s more likely that it will require a lifetime of treatment. Now we know that there is no way that Diabazole will cure diabetes, but it might be able to help patients manage the symptoms or provide other benefits claimed by the product’s manufacturer. When we’re thinking about health supplements, we usually imagine some products that might come in handy if we need to fix a minor problem such as excess weight, or not enough muscle gain while working out or fatigue. We saw such products as being optional and deprived of risks and dangers. 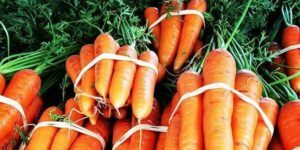 But today there are some alternative health products which claim to be able to deal with far-reaching health issues, in some cases even with diseases for which medicine itself hasn’t yet been able to find a cure. 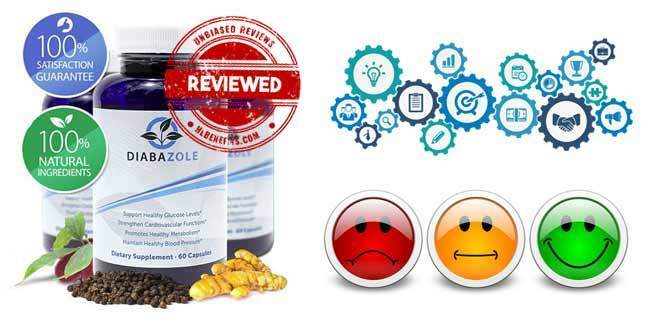 This is the case of Diabazole, a supplement which claims to be a blend of 100% natural ingredients that will help users to keep their symptoms under control and sometimes even reverse the damage which has already been caused to their bodies by diabetes. Diabazole promises to keep blood sugar levels at optimal levels, which would mean that also other symptoms of diabetes should be alleviated or prevented. 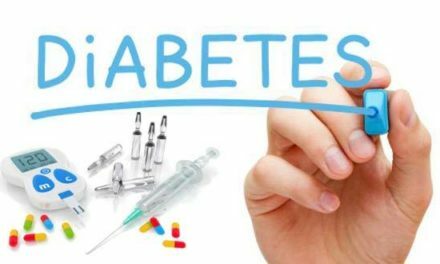 An exciting affirmation of the product’s manufacturer is the fact that Diabazole can help the users achieve a healthy state which can be even better than the one of an entirely healthy person who has never been diagnosed with diabetes. This is undoubtedly exaggerated. While the product might help, it’s not in any way a miracle product, and the manufacturing company was cautious enough to mention this on the official website. But Diabazole might be able to optimize blood sugar levels and this would be the answer in dealing with diabetes. Diabazole is only meant for patients who suffer from type 2 diabetes because this is the only case in which both the symptoms and the disease can be treated only by managing blood sugar levels. 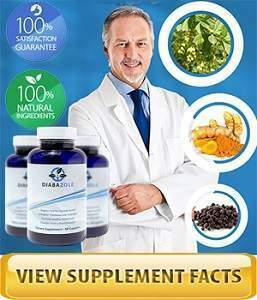 Apparently, the main ingredients in Diabazole’s composition include bitter melon, cinnamon, juniper berry and alpha-lipoic acid. We’ll have a look at each of these ingredients to see exactly how they can help in case of diabetes. Bitter melon also known as Goya is usually used for its various health benefits. It also refers to as bitter gourd, Balsam Pear or Karela. It has been a part of Indian and Chinese ancient medicine for a very long time, but only more recent studies have proven its efficiency. In addition to being a great food ingredient, bitter melon has also been used as an herbal treatment for a vast range of ailments including type 2 diabetes. It contains at least 3 active ingredients with anti-diabetic properties including the character (it has been confirmed to have a blood glucose lowering effect), vicine and polypeptide-p, an insulin-like compound. 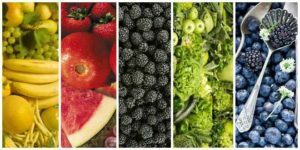 These substances work together in order to reduce the blood glucose levels from the body. Bitter melon also contains a lectin that reduces blood glucose concentrations by influencing the peripheral tissues and by suppressing appetite. 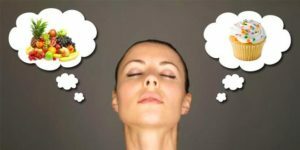 These effects are similar to the effects that insulin has on the brain. This lectin is seen as an essential factor behind the hypoglycemic effects which develop after the bitter melon gets in the body. There have been a large number of clinical studies and tests which were conducted in order to evaluate the efficiency of bitter melon in treating diabetes and they were all successful. They demonstrated that bitter melon could increase cellular uptake of glucose and it improves glucose tolerance. Other benefits of bitter melon include treating chronic cough, skin conditions, fever, burns, colic, painful menstruation, kidneys and liver issues, pancreatic cancer, overweight, low immunity and more. Cinnamon is a sweet pungent spice derived from the inner bark of the branches of wild cinnamon trees originated from the tropical areas of South America, Southeast Asia, and the Caribbean. 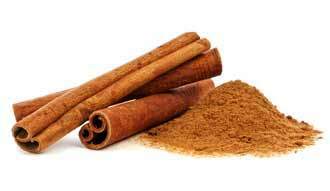 Cinnamon use dates back millennia and it has always been treasured among civilizations throughout time. It’s consistently being linked to improved results in treating health conditions such as diabetes and research have shown that it can increase insulin sensitivity and it improves blood sugar levels. Diabetes Care Journal published the results from a clinical study suggesting that cinnamon improves cholesterol and blood glucose levels in people suffering from type 2 diabetes. It also seems to reduce cardiovascular disease and the risk factors associated with diabetes. 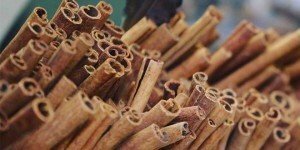 Another study reported in Agricultural Research Magazine talked about the increased insulin sensitivity and reversing type 2 diabetes due to cinnamon consumption. Journal of Clinical Nutrition showed that cinnamon could also slow stomach emptying and can reduce hyperglycemia after meals. All the scientific evidence available show that cinnamon contains substances with beneficial effects on blood glucose regulation and for the treatment of type 2 diabetes. It’s an excellent source of essential nutrients such as fiber, calcium, manganese, and iron. It has great anti-clotting effects for the blood. It stops medication-resistant yeast infections. It preserves food through the inhibition of bacterial growth. Juniper Berries are naturally found in the Northern hemisphere and other regions such as Canada, Siberia, and Europe. 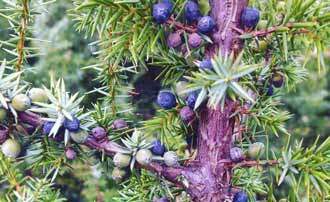 Juniper berry is also known by the name gin berry, one bro, horse savin, and wacholder. Their use is beneficial for health as they have therapeutic properties for arthritis, cancer, diabetes and kidney disorders. They relieve symptoms of hyperglycemia without producing any side effects. They improve delayed wound healing caused by diabetes. Juniper berries enhance cellular uptake of glucose from the bloodstream. They support blood pressure levels and offer protection against cardiovascular disease. 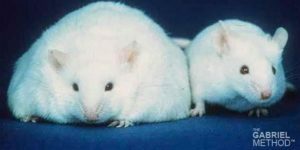 They promote weight loss due to the peripheral breakdown of fat. Alpha-lipoic acid (ALA) is an alternative antioxidant remedy for treating the pain which is associated with the condition known as diabetic polyneuropathy. Neuropathy is nerve damage, a potentially dangerous complication of diabetes. The condition is a permanent one and the symptoms can be very hard to alleviate. Polyneuropathy involves the body’s peripheral nerves and it’s the most popular form of neuropathy in diabetes patients. Patients with diabetes and nerve damage usually feel the symptoms occurring in the legs and feet, and these include numbness, burning sensations, muscle weakness, loss of balance, ulcers or infections, cramps, pain and sensitivity to touch. ALA is not a diabetes medication, but it is a potential natural way of relieving nerve pain caused by the disease. It has the ability to lower blood glucose and this can protect against nerve damage. Patients with diabetic neuropathy who use ALA will feel relief from pain, numbness, itching and burning sensation. 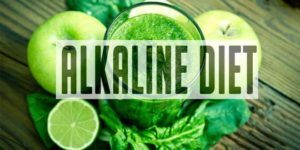 Some studies have shown decreased insulin resistance and control of blood glucose levels in patients who used ALA.
It’s worth trying supplements which contain ALA if other treatments for diabetes don’t seem to work. ALA seems quite a promising treatment for diabetic neuropathy. Supports the body after natural inflammations. It’s an efficient regulator of blood sugar levels. Assures a proper working of the metabolic functions. Provides a decreased risk for diabetes complications. Supports cells to tolerate auxiliary glucose. Maintains a healthy blood pressure. Seems to reduce cholesterol molecules. Supports the cardiovascular system, preventing heart attacks and strokes. Helps in alleviating some of the diabetes symptoms, especially in cases of patients with mild forms of the disease. The ingredients help with most symptoms and improvements will be noticed. Using it results in boosting the benefits of a healthy lifestyle. Side Effects of Diabazole. Who Should Use It? It’s claimed that this supplement has no side effects however each of its ingredients might be dangerous for sensitive patients, especially as they’re affected by diabetes. We recommend not to use Diabazole without a doctor’s approval, and this goes for any supplement on the market, especially for the ones destined to treat severe health conditions. Patients’ doctors should carefully analyze all the product’s ingredients and no risks should be taken. The product should not be used with other medications; therefore we can assume that it can interact with other substances. Diabazole is only fit for patients who suffer from type 2 diabetes and don’t need medication. Pregnant or breastfeeding women should never use Diabazole and neither should children under the age of 18. Patients whose health state and also private doctors allow them to experiment with Diabazole supplement which is designed to improve the symptoms of diabetes could give it a try. The combination of beneficial and natural ingredients might provide help with the treatment. Although it’s quite difficult to tell how exactly a certain supplement will work for a particular patient, the chances are that at least some of the ingredients will offer benefits to any patient. All in all, if Diabazole’s composition includes substances you’ve never tried before but your doctor gives their approval, there’s no reason for not trying it. What is the Accurate Dosage of Diabazole? There are 60 pills in one-month supply and all you have to do is take 1 or 2 pills daily. You have to take it regularly in order to get useful results. You also have to make sure you don’t overdose. Diabazole promises a trial offer of their blood glucose lowering supplement. You have 14 days from the day you ordered Diabazole for trying it. The manufacturer estimates that it could take from 3 to 5 days for it to arrive and this will give you quite a short window to try the product and to feel its benefits. After 14 days, you will be billed and enrolled in an auto-ship program which will continue until you cancel it. On the official website, it is written that hundreds of trials are shipped every day and you can also read the terms, conditions and other info to help you make the best decision for yourself. Remember that you must make sure that you are not using any other prescribed medications along with Diabazole and this is why you must choose the free trial first. The product comes with a 90-day refund policy even if the bottle is empty. In order to request a refund, you’ll need to contact customer service. Choose a healthy and balanced diet. Stay away from unhygienic and unhealthy foods. Stop drinking alcohol and quit smoking. Important Diabazole is not a magic pill which can cure diabetes, nor a dangerous drug with severe adverse side effects. What Else Can You Do if You Have Diabetes? Type 2 diabetes is the most traditional form of the disease and it currently affects approximately 30 million people. If you think you have diabetes or if you consider yourself at risk (obese, overweight and elder people are particularly susceptible) you should first visit your doctor. You will then need a significant lifestyle change which includes regular feet examinations and taking medications among other things. The essential thing to do for preventing or reducing the effects of type 2 diabetes is watching your daily diet. You should include veggies, fruit, wheat bran and whole grains and you should avoid fast food, sweets, high cholesterol and saturated fats. You must also regularly count your carbs and note the glycemic index of every food in order not to raise your blood glucose levels too high. Forget Diabazole! Click Here to See The Top Rated Diabetes Treatment. All in all, the information provided by the manufacturers on the official website is not relevant at all. You get the ingredients, you get the amounts and many appraisals on the efficiency of the product but with no scientific back-up whatsoever. Judging from the customer reviews we've received we have come to the conclusion that it's just not worth the time and money. Hi this Diabazole works for my husband! He has to give himself an insulin shot every day and it’s never low. It was always in the 200 hundreds. But when he takes the Diabazole, it loweres it in the 90’s. I am a type 2 diabetic and was contemplating on taking the Diabazole myself. Do you take the Diabazole with your prescribed medications? No, you can’t take it with other medications, like Metformin, etc. I have taken ALL the supplement ingredients found in all the brand names in generic form along with Metformin and Xigduo with no ill effects. Interestingly, this seems to have had no impact on A1C. I tested this out by stopping all supplements and even added sugar candies and cookies back into my diet and my A1C even went down .5!! Have not yet tried Juniper Berry extract, so maybe that is a key ingredient. I take insulin and a pill, I would stop the prescription, has this really work? I have ordered Diabazole and I give myself a Trulicity shot once a week. Can I use the diabazole with my shot? My husband has just taken his first shot of Trulicity. He is also on glipizide. Metformin HCL 1000 twice a day. Can he take this Diabazole?? 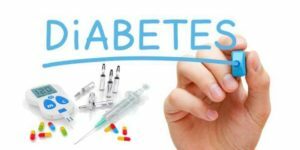 Can you take Diabazole with prediabetes? Will this product help me if i am already taking insulin 3x daily.